← This ball can stop AIDS. This quiet plea comes to you from Aung San Suu Kyi, who turns 65 today in Myanmar (Burma), where she is under house arrest. In fact, she’s spent 15 of her last 20 birthdays under house arrest for the crime of advocating for democracy in a country that has been ruled by a brutal military junta since 1962. 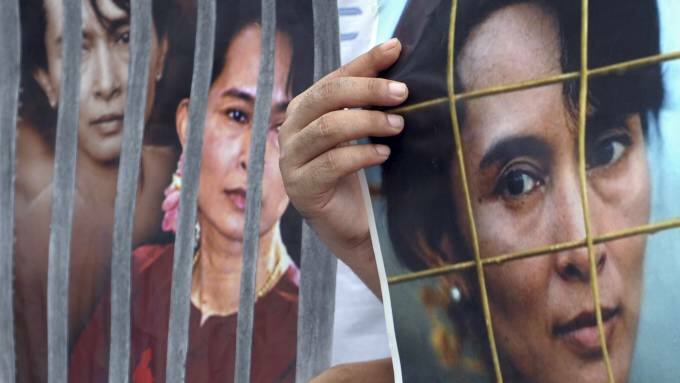 A passionate believer in nonviolent change, Suu Kyi remains a symbol of hope and determination under almost unthinkable conditions, and at great personal cost. Her father was assassinated, her mother gave her an education at Oxford and in human rights, she was elected as head of the National League for Democracy and saw her party win 82% of the popular vote (while she was imprisoned in 1990) yet was never allowed to take power, she has been separated from her husband and sons for years, and she lost her husband to cancer in 1999 without being permitted to see him or say goodbye. Yet somehow, she has kept her unshakeable conviction that democracy will come to her country. It is almost inconceivable that the military can stay in power when the oppression of its people is so extreme. The military junta has conscripted 24 million young men into service, in a country of 50 million people. 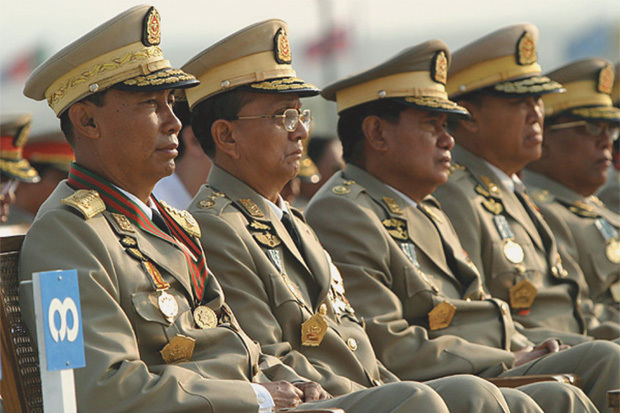 Thanks to General Than Shwe and his henchmen, Myanmar is a disaster – a country rich in oil, gas, jade, rubies and teak, with the lowest per capita income outside of Africa. Formerly known as the Rice Bowl of Asia, one-third of its people are now starving. Myanmar spends less on healthcare per person than any country in the world, yet refuses to allow aid organizations to operate in the country. The government has been called one of the most corrupt in the world, and routinely uses child soldiers, slave labor, ethnic cleansing, and landmines to intimidate and control its people. Paranoid, insular and fanatic, it rivals North Korea for sheer creepiness. 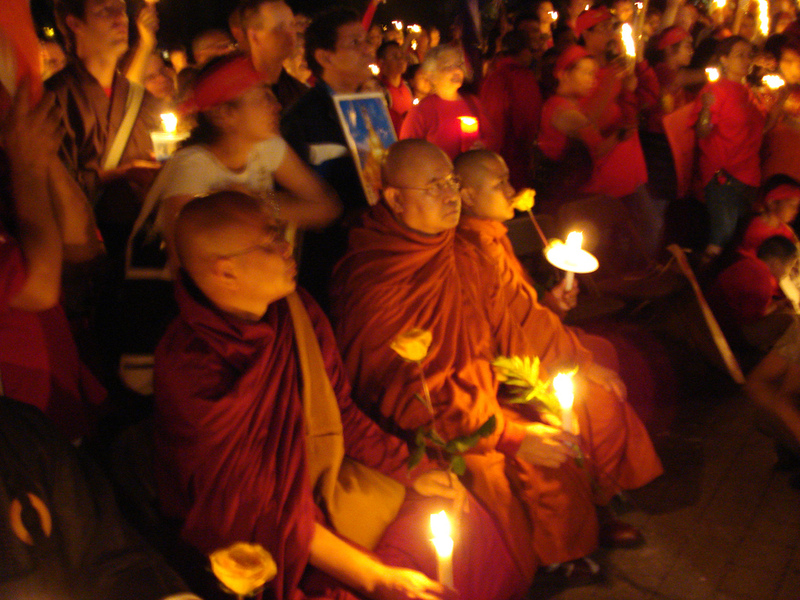 Yet when you look at the face of Aung San Suu Kyi – and the beautiful monks who staged the Saffron Revolution protest against the government in 2007 speaking of “loving kindness” and “pure compassion,” it seems another force is at work here. And maybe that force will triumph in the end. Supporters in Myanmar released 65 white doves today in celebration of Suu Kyi’s 65th birthday, and they are planting 20,000 trees mostly on the grounds of monasteries to honor her. If they still believe in peace, I believe. 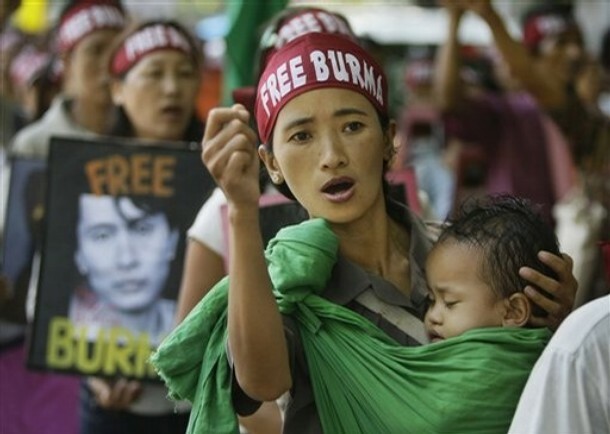 Thank you for reminding us about Burma. Love your pix. 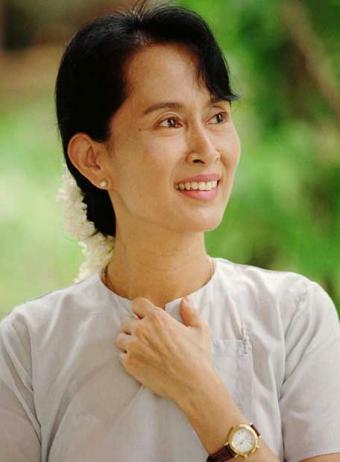 Happy Birthday Aung San Suu Kyi. We salute you!